Americans like to think our country is the most progressive and healthiest country in the world. That just isn’t the truth any more. There are several state and federal policies that are making us sicker than we need to be. One of these is the issue of GMO foods. Another one is raw milk vs pasteurized milk. Many states completed prohibit the sale of raw milk. Others bend a little and say that a farmer may sell raw milk if he is standing on his property, but he can’t deliver it to his customers. Proponents of these laws say it is for national health, that raw milk isn’t good for us. But, the scientific studies don’t agree. Other countries recognize the falsehood and allow raw milk sales, even in vending machines. There is talk about putting pharmaceuticals in vending machines, but our government won’t allow natural milk in them. When a cow is raised in close quarters an unsanitary conditions there is a very large chance that the milk produced will contain bacteria, viruses and even parasites. If is it lumped together and trucked long distances the chance for contamination is even greater. This is the excuse for pasteurizing all milk. What are not mentioned is what the pasteurization process does to that milk, and how these changes affect those that drink it. The pasteurization process destroys enzymes, diminishes vitamins, denatures fragile milk proteins, destroys vitamin B12 and vitamin B6, kills beneficial bacteria, and actually promotes pathogens. It also creates MSG in the milk. The ultra-pasteurized is even worse. The extra heating builds up even more MSG in the milk. If the pasteurized milk is not organic it carries even more risk because of the crowded living conditions of the animals. In an effort to keep them alive and producing more milk they are given grains (not a natural food for cows) antibiotics and growth hormones. This changes the natural bacteria in the milk, causing more harmful bacteria to grow. The hormones given to make them grow more and produce more milk affect the human body in the same way. It is one of the causes of our obesity epidemic. There is a clear correlation between drinking pasteurized milk and an increase in osteoporosis. Many people that think they are lactose intolerant really aren’t. They are just drinking or eating pasteurized dairy products. The process kills the lactase enzymes that help us digest the milk. It also changes the proteins in the milk to a form that is not as easily digested as those in raw milk. The advantages of raw milk are numerous. The natural bacteria in raw organic milk are the type we need in our bodies. The milk is higher in omega 3 fatty acids and lower in omega 6 fatty acids. Science shows it is the best ratio we can provide for our bodies. It contains over 60 digestive enzymes needed by the human body. These do not survive the pasteurization process. It is loaded with vitamin and minerals that we need. It is rich in the amino acids that our bodies need. It contains an enzyme that directs calcium to the bones, and another one that helps you metabolize fats. The safety of raw milk is in the statistics. Between 1973 and 2009 there were 1100 illnesses linked to raw milk, but 422,000 illnesses linked to pasteurized milk. The CDC shows no deaths recorded from raw milk, but at least fifty deaths from pasteurized milk or cheese. Yet, the CDC list raw milk as risky. The FDA does not list raw milk on their risky list, but does list pasteurized ice cream and cheeses. Many opponents to pasteurization feel that instead of protecting human lives the laws against raw milk protect the big factory farms. If the small farmer cannot sell his milk direct he must sell it to the big dairy for pasteurization. This limits free enterprise and reduces the competition for these big dairies. In addition to insisting on pasteurized milk many of us have been taught that we ought to be drinking low fat milk. The reasoning is that the fat in milk is saturated fat. We have been taught that saturated fat is bad for us, but that isn’t the truth. Saturated fat is actually good for us. 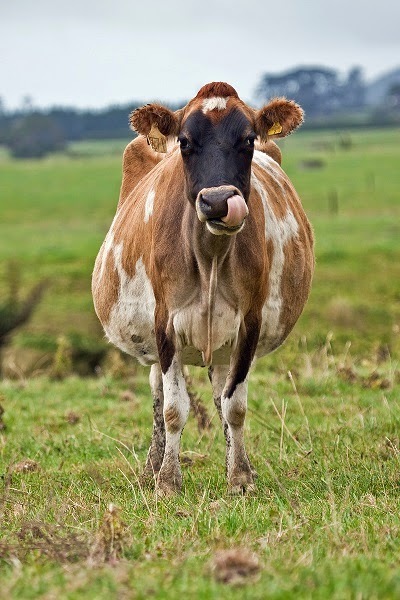 Eating organic full fat dairy products actually reduces our chances of developing diabetes. It also has been found to lower the risk of cancer, especially bowel and colon cancer. We think of fat as fattening, but compared to women that ate low or nonfat dairy those that ate full fat dairy gained 30 percent less weight. They also had lower incidences of heart disease. Low fat dairy products have also been linked with an 85 percent chance of fertility problems in women. In addition to leaving out all the good stuff the producers of low and nonfat dairy have been given permission to put artificial stuff in our milk without telling us. This includes artificial sweeteners and thickening agents. These are purposely added to the milk to make it more palatable. Some say the answer is to avoid all dairy products. That is easier said than done. They are very prevalent in our foods, and to be honest, they taste good. Instead of avoiding all of them it just makes sense to be selective about the dairy products you eat. Insist on knowing how it was grown and how it has been handled since it left the cow.